An easy 10 minute recipe for a fresh, delicious Tomato Apricot Relish. Serve this relish over pan-seared salmon, grilled chicken breast, or as bruschetta! Chop the grape tomatoes into quarters. Chop the apricots and radishes into small pieces, about 1/3 - 1/2 inch each. Chop the scallions, parsley leaves, and mint leaves. In a large bowl, combine all the chopped ingredients with the grated garlic clove, olive oil, salt, and pepper. Mix well and serve immediately or chill in the fridge for a few minutes to let the flavors infuse. 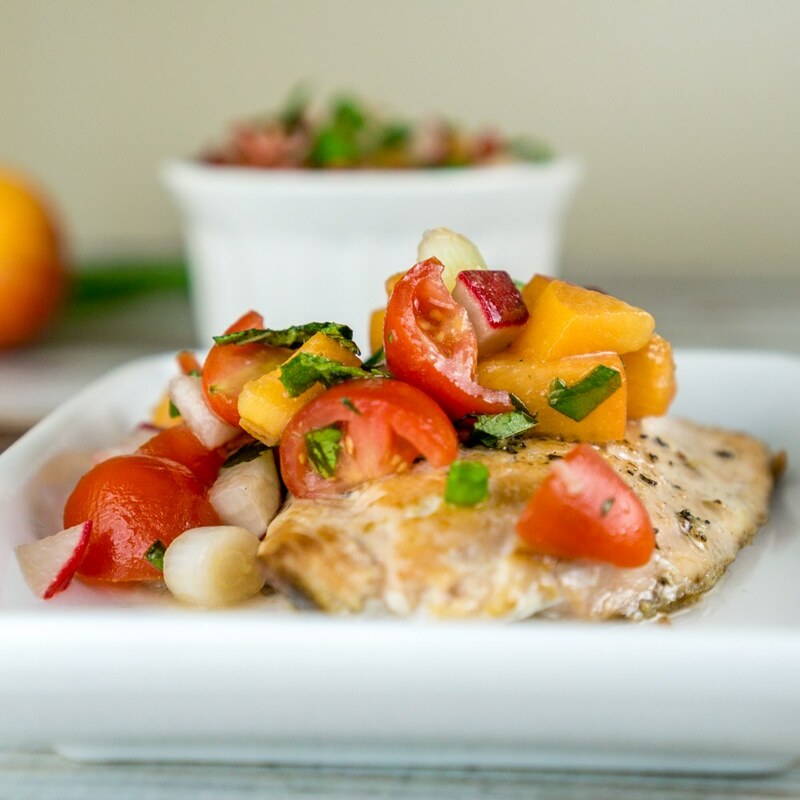 Serve Tomato Apricot Relish over pan-seared salmon. (To cook the salmon, season it with salt and pepper, heat 1 tablespoon olive oil in a large pan and cook the salmon 2-3 minutes per side, or until desired doneness).